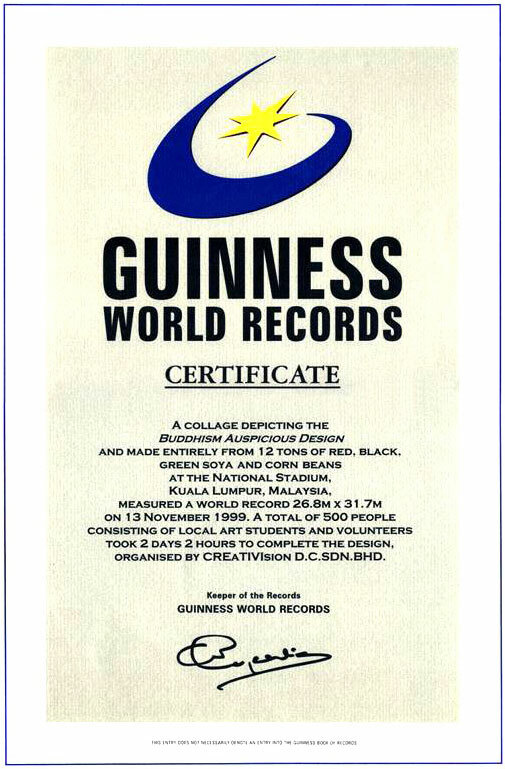 The artwork was successfully accepted and registered in Guinness World Records as the world biggest Bean Art. (26m x 31m). 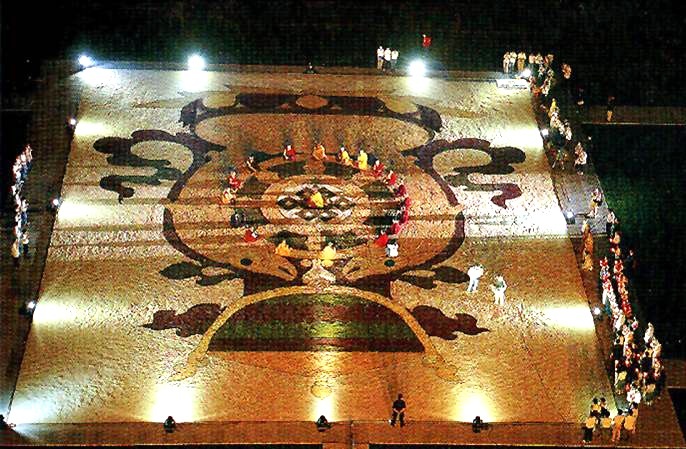 This world piece was made up of five different types of beans with a total quantity of 12 metric tons. Drikung Kagyu Institute, Dehra Dun, India.